Including a special payout, the digger led by Jean-Sébastien Jacques returned a whopping $13.5 bln to shareholders last year. Despite Rio’s ample cash, risks are rising and safety problems like Vale’s will lift costs. That should keep the industry’s growth ambitions in check. 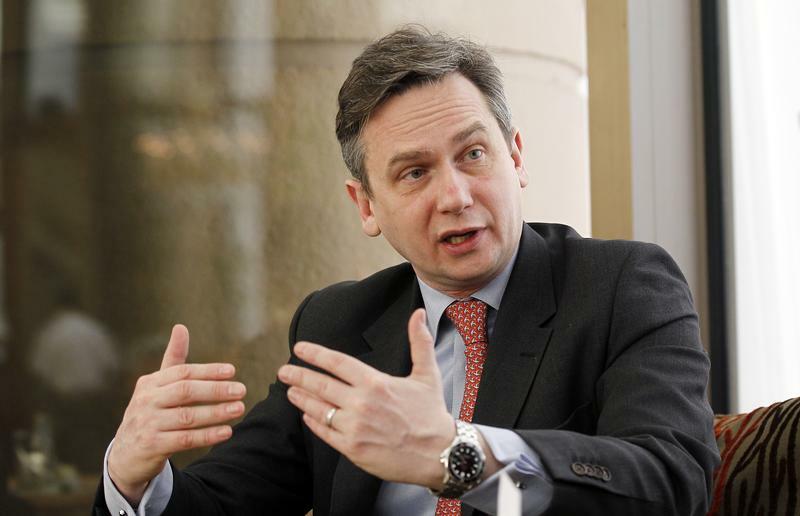 Rio Tinto copper Chief Executive Officer (CEO) Jean Sebastien Jacques gestures as he speaks during an interview with Reuters in Santiago, April 8, 2014. A weak copper price and tighter financing are forcing mining companies to cut or stall spending on exploring to their lowest levels in four years as they focus instead on axing costs and reducing debt. Rio Tinto on Feb. 27 reported full-year net earnings of $13.6 billion, up 56 percent from a year earlier thanks to asset sales. Underlying earnings increased 2 percent, to $8.8 billion, above a consensus estimate of $8.5 billion, compiled by Vuma Financial. The Anglo-Australian miner said it generated $7 billion of free cash flow in 2018, and ended the year with a net cash position of $255 million, compared to net debt of $3.9 billion in 2017. Including the impact of buybacks and other planned outflows, though, adjusted net debt stands at $8 billion, the company said. Rio declared record cash returns of $13.5 billion to shareholders in 2018, including a $3.1 billion final dividend, a $4 billion special dividend and a $3.2 billion share buyback plan, $1.1 billion of which remains outstanding. Separately, an Australian court ruled on Feb. 8 against plans by unlisted Gloucester Resources to build a coal mine in Australia’s Hunter Valley, citing climate change as a factor in refusing the company's application and dismissing its appeal. Brazil’s government on Feb. 18 also banned new upstream mining dams and ordered the decommissioning of all such structures by 2021, targeting the type owned by iron ore miner Vale which burst last month in the town of Brumadinho and killed at least 166 people.